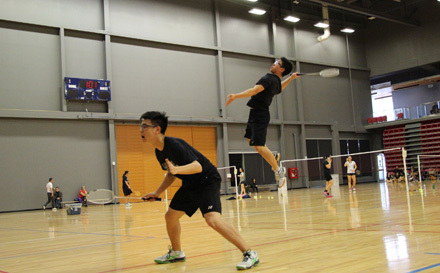 A doubles team reach high to attack at the City Championships at Markham Pan Am Centre. For more photos of recent games, visit the Photo Gallery. The beginining of the TDSSAA's season of Badminton will soon be upon us! We look forward to another impressive season. For OFSAA results, visit the OFSAA website.